Easy to make and comforting during the colder months. THIS BRIGHT COLOURFUL MEAL Feels like a big warm hug! 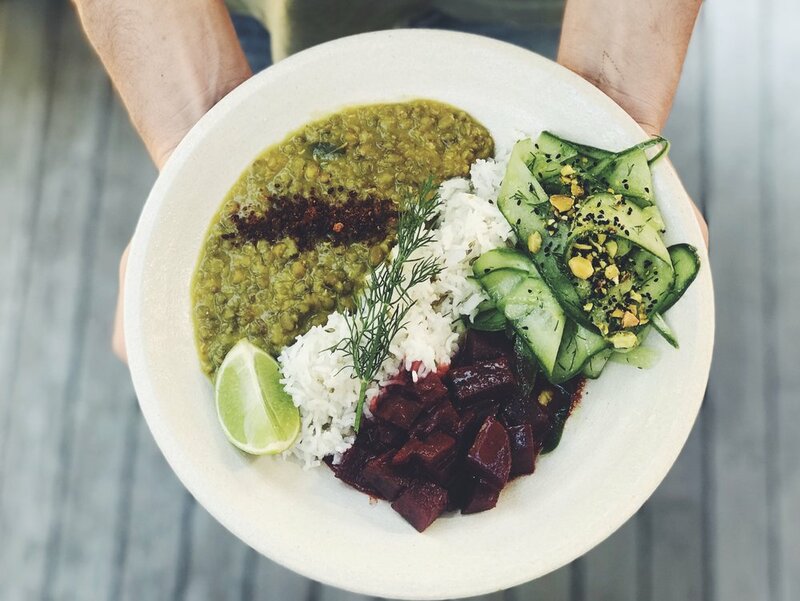 This recipe has been handed down to me from the one and only Ayurvedic chef himself, Tim Mitchell. I have been blessed to be able to spend time with this man and learn from his ocean of knowledge. This curry had been eaten so many times by us we have lost count. We now all have our own take on this wonderful creation when we cook it, so here is mine to share. I suggest you cook this one with extra love as you can really taste it! Mix chopped beetroot, turmeric, curry powder, ground coriander, fenugreek powder and salt in a big bowl and massage the beetroot with your hands, love and attention. Then heat the ghee on a medium heat in a medium sized pot and gently fry the hing and cumin seeds until the cumin seeds are golden and their aromas fill the room. Add the beetroot mix into the pot along with the coconut milk. You want to cover the beetroot completely, so if there's not enough coconut will to do that, then add some more water. Let the curry simmer on a low to medium heat for 45 minutes, the consistency of the curry will get thicker and you can taste to see if beetroot is cooked. Once the beetroot is cooked, allow the curry to sit, lid off, for another 5 to 10 minutes to allow some of the heat to be released! Then serve with cooked basmati rice, lemon and fresh coriander.